Planning a Halloween party or looking to package up some special Halloween treats for family & friends? 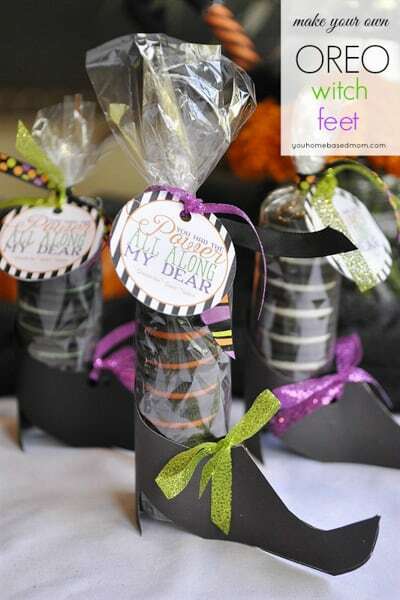 Then you’ll love this collection of Halloween party favors. 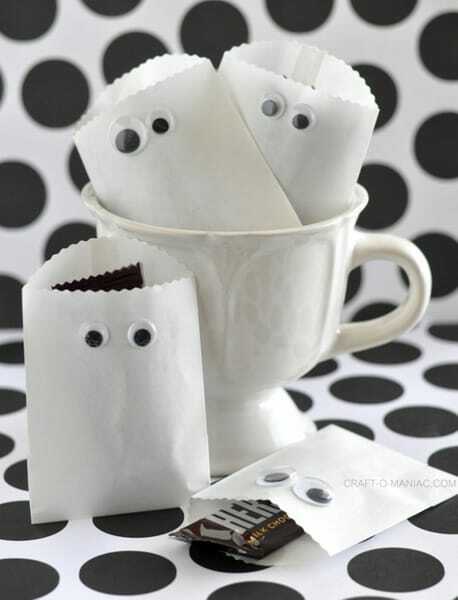 There are so many clever ideas here both for treats and fun ways to package them. My son isn’t at an age yet where he really understands Halloween but I may make him a few of these fun favors to hand out to his little friends. To view the full details for any of the Halloween party favors featured below, simply click on the title and they’ll open in new windows for you. 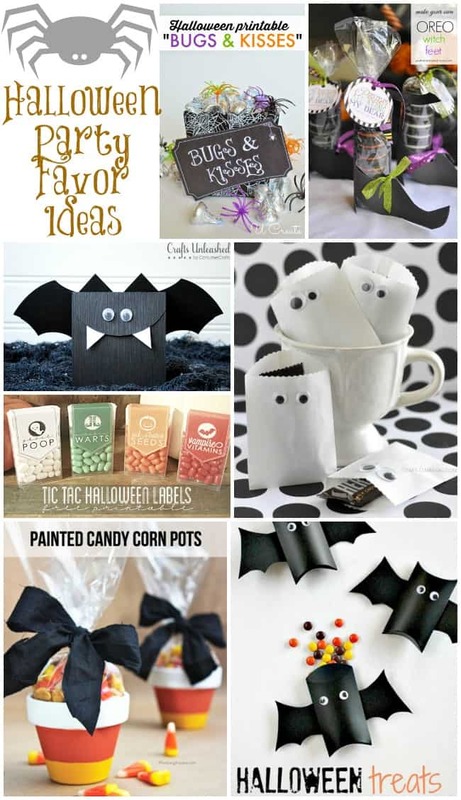 Visit our Halloween Fun page for even more creative ideas. 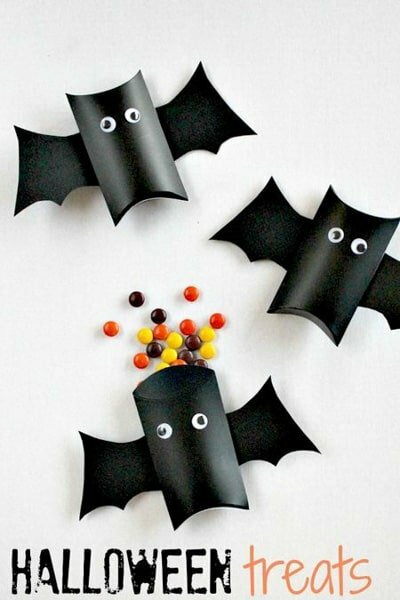 These Halloween Bat Treat Bags (pictured above) by Crafts Unleashed are brilliant! She used a Silhouette cameo for this project so if you don’t have one of those you’ll have to get a bit creative with your pattern. 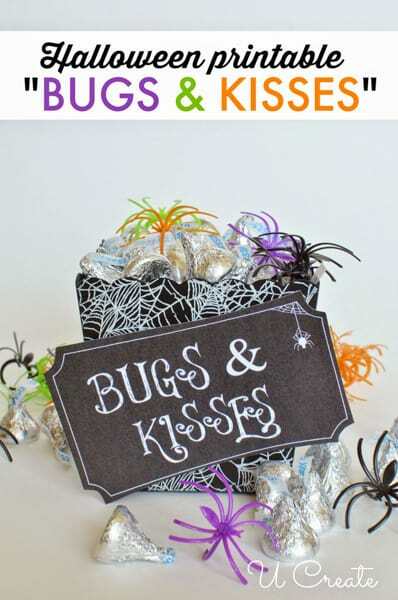 This Bugs and Kisses Halloween Printable by U Create on eighteen25 are candies and toys in one – so fun! 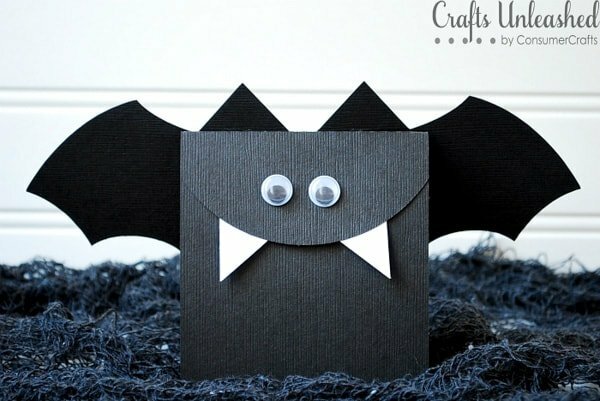 These Easy Bat Halloween Treats Boxes by Create-Celebrate-Explore could not be any cuter! The kids will want to hang onto these ones for play after they finish the candy inside. I love Oreo cookies and these Oreo Witch Shoes with Free Printable Tags by Your Homebased Mom are such a cute idea for Halloween party favors! She shares the pattern for the shoes along with the free printable tags. 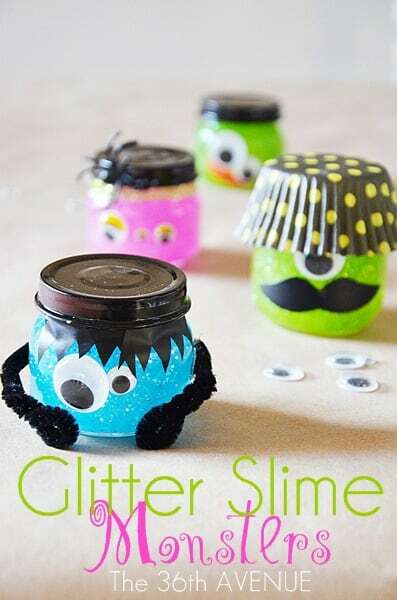 You can completely skip the candy and sugar and go with a fun favor instead like these Halloween Glitter Slime Monsters by The 36th Avenue. 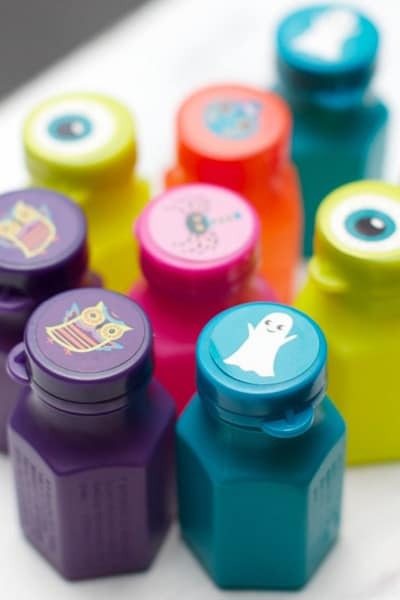 These Halloween Booo-bbles Party Favors by Spaceships & Laser Beams featured on Tatertots & Jello are fun for all ages. They come with adorable free printable tags as well. 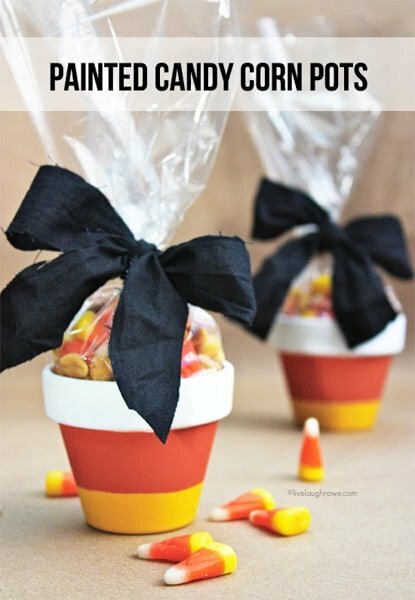 For a larger package of treats, check out this idea for Painted Candy Corn Pots by Live Laugh Rowe. The larger the pot, the more candy you can fit into it! This easy Candy Fall Pumpkins Fall Craft by Club Chica Circle would make an adorable party favor for kids. These free printable Tic Tac Halloween Labels by Somewhat Simple are a fun alternative to tradition candy treats. We’re always adding new ideas for family fun & parties. Never miss an update by following us on Facebook, Twitter, Pinterest, Google + and Bloglovin’.